ThanksUSA is currently accepting scholarship applications for the 2013-2014 academic year. Over the past seven years, ThanksUSA has awarded over 2,800 scholarships (worth nearly $8.5 million) to deserving military spouses and dependent children. $3,000 American Airlines/ThanksUSA Scholarship recipient Eric Pierre Allen is an excellent representation of these scholars. The Army dependent’s unique combination of majors, combined with his giving spirit and drive to succeed, really make him stand out. Eric’s father, First Sergeant Norman Allen, U.S. Army, has been serving our great nation for over twenty five years. Knowing life only as a military child, Eric travelled often and was exposed to a variety of cultures. As a teen, Eric found himself enthralled with the vibrant graphics of Japanese animation. Though he enjoyed the visual styles of anime, he couldn’t fully understand the symbolism and cultural references. Soon, his quest to grasp the intricacies of anime led to a fascination with Japanese history and culture. When he entered the University of Texas at Austin to study accounting, Eric knew that he also wanted to continue his Japanese studies. During his freshman year, Eric attended a fair to learn about various campus student groups. Interested in joining an organization that would complement his business studies, Eric stopped by a particular group’s table only to find it unoccupied. The neighboring table happened to be hosted by the Asian Business Students Association. Eric struck up a conversation with ABSA’s Internal Vice President and accepted her enthusiastic invitation to join. Now, nearly three years later, Eric is pursuing his Masters in Professional Accounting and B.A. in Japanese Language and Culture. 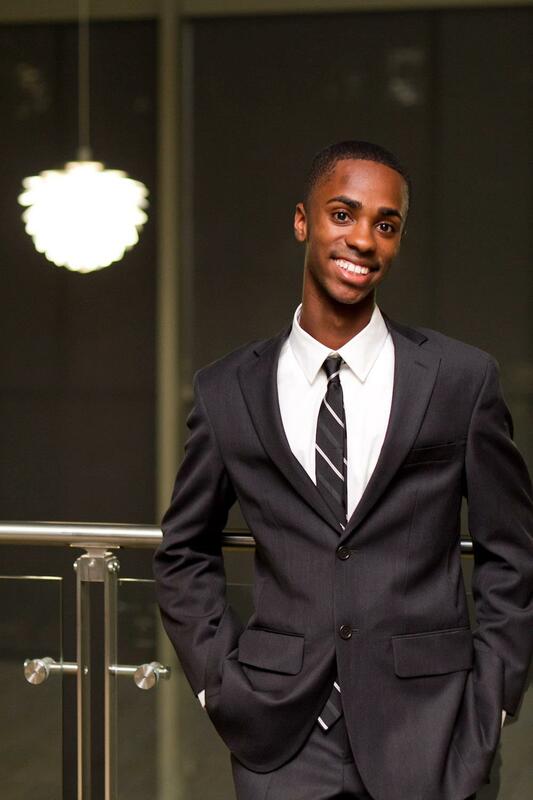 He has become involved in many campus organizations including Student Government, Liberal Arts Council, Japanese Association, and Black Business Students Association. He is also a DJ and show host for the campus’s Chop Suey Radio and he has continued his involvement in the ABSA. In fact, Eric currently serves as the ABSA’s Internal Vice President – the same position of the officer who invited him to join during his freshman year. As his junior year at UT Austin concludes, Eric is preparing for what may be his most memorable year yet. During the 2013-2014 academic year, Eric’s collegiate majors will culminate into an immersive learning experience with studies abroad in Osaka and Tokyo. After completing his undergraduate degrees and earning his CPA, Eric plans to gain practical experience in the United States before pursuing an international career. Eventually, he hopes to earn his PhD in Japanese history and become a college professor. Considering his academic achievements thus far, I’m sure Eric will accomplish every goal he sets for himself. As the 2012-2013 academic year concludes, I hope to bring you more highlights from our deserving scholars. Some may be wrapping up their first year of college, while others are graduating. If you find any of these ThanksUSA scholarship recipients as inspiring as I do, I encourage you to make your tax deductible donation today. 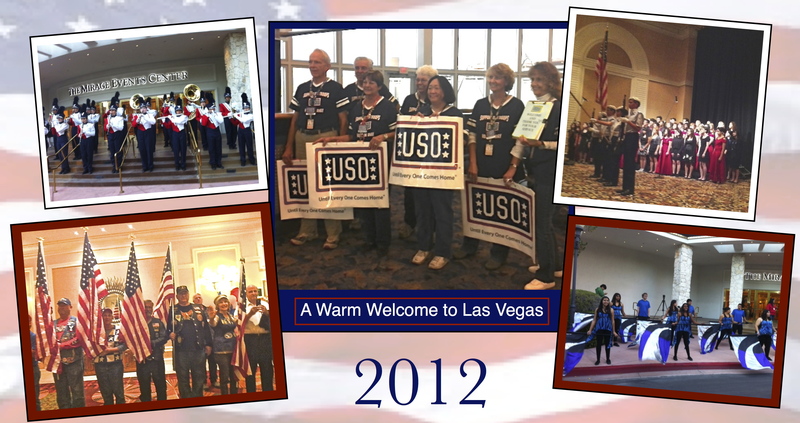 A big shout out to ThanksUSA’s official airline sponsor, American Airlines, who teamed up with the USO and MGM Resorts International to provide a weekend of entertainment and relaxation to some very special Wounded Warriors in Las Vegas, Nevada. ThanksUSA honors all those who have served and would like to give special recognition to the Director of Veterans Initiatives at American Airlines, Jim Palmersheim, an Army Vet who continues to serve his country through advocacy for military personnel and their families.